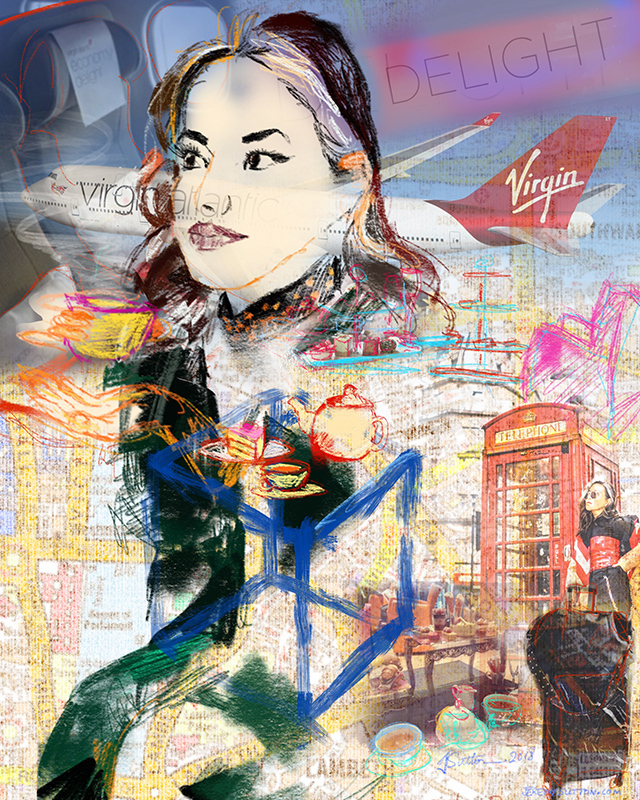 Brief: To create live event iPad paintings of three activities in London that influencer Eugénie (Instagram handle @FeralCreature) will make when flying from the USA to London with the new Virgin America Economy Delight class of travel. Solution: I worked in digital media, using the iPad Pro, Apple Pencil and Procreate app. My art was projected in realtime on a large screen for all to enjoy throughout the evening. 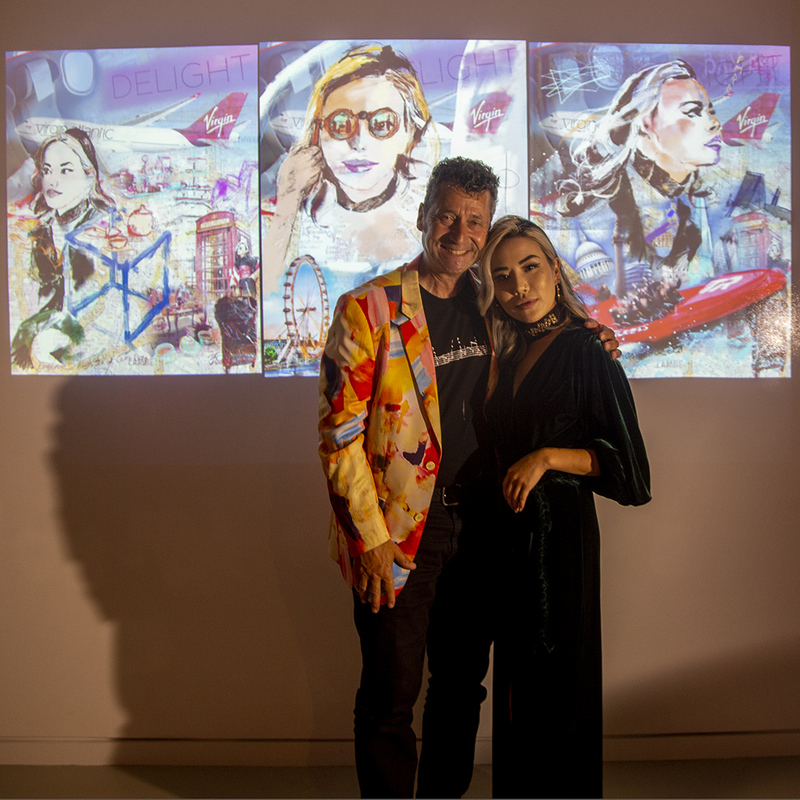 I was one of three artists, each working in different media with a different influencer and portraying a different class of the new Virgin Atlantic Economy Services (their byline: “Be Choosy”). I discussed the three activities with Eugénie ahead of the event and developed composition ideas in creative collaboration with her. 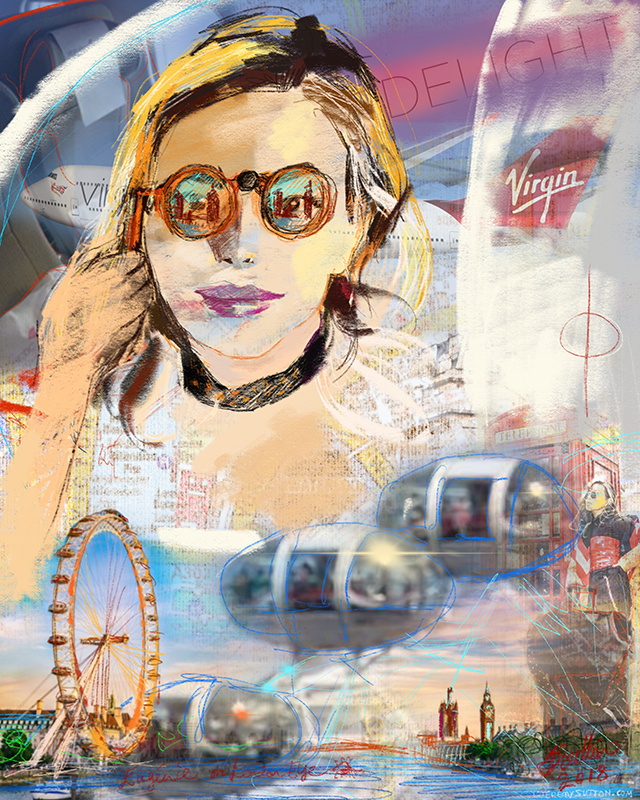 She then sat for three different live portraits that I painted at the event, each posed to suit the particular activity (holding a tea cup for high tea at Cake Boy, looking through opera glasses for the London Eye and wind blown hair for the Thames Rockets). 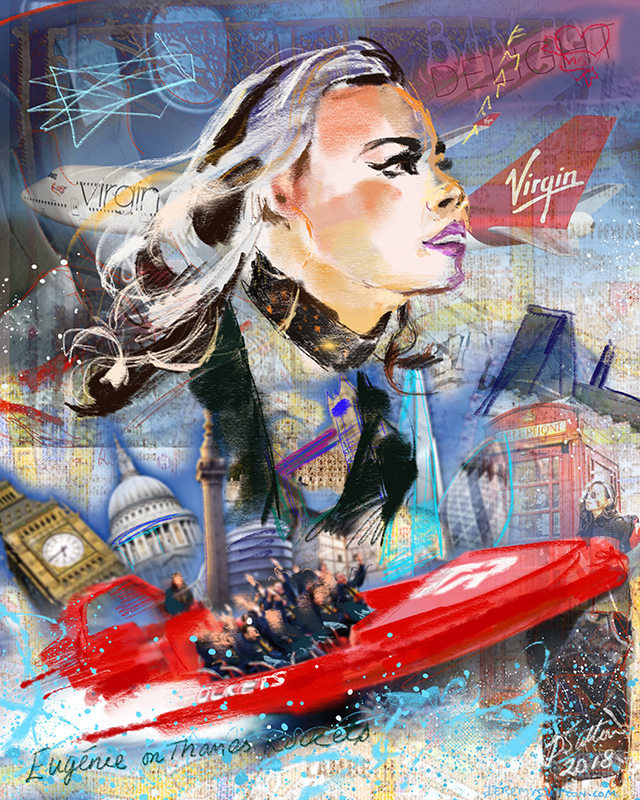 Previous work with Virgin Atlantic: drawing digital portrait of Sir Richard Branson on board the Virgin Atlantic Inaugural flight into San Francisco and portraits of guests at the Virgin Atlantic 10th Anniversary Party in London.